After a seven year long wait Pelikan has announced another Souverän M1005. We are very happy. They are scheduled to arrive by mid or end of February 2019.
will notify our clients so they can realize the payment. 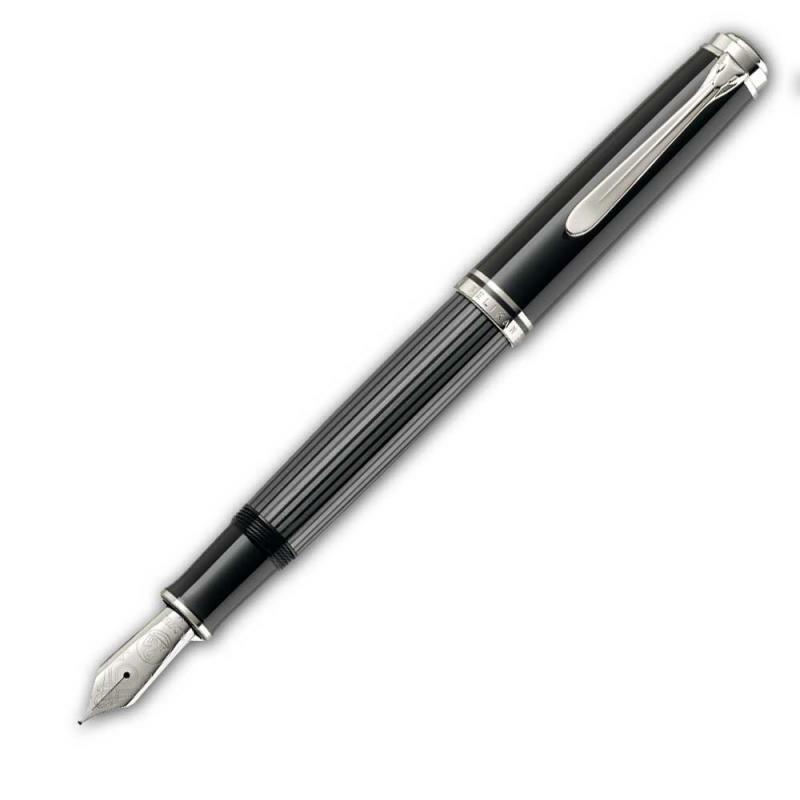 We offer the M1005 with nib sizes F, M and B for € 433,61 and the EF nib size for € 467,23 without the German VAT of 19%. Should you wish any information or place a pre-order you can send us an email to service@fritz-schimpf.de. Well, my wallet and I weren't expecting that. Glad it's not a blue stripe... or I'd have to have it! solid silver trim just.... meh. I love it. I cant wait to get one. I'd say the M1000 is one of the most versatile flagship lines. It can be had with Maki-e, Raden, celluloid, acrylics, etc. Still waiting on the brown tortoise M1000. Please, Pelikan, please. Love it. The black / green / gold motifs were not at all interesting to me. This is quite nice! wow... I am normally not a fan of "designs" on pens... but that looks gorgeous. Will the price include shipping to the USA as wll? That'll go nicely with my M805. I have been thinking of picking up a Stresemann for a while now, I can't pass up on this! Sadly not. Shipping to the USA is € 30.- with insured shipment via DHL and USPS. That's not a bad deal at all! Essentially at cost! This will be my first M1000. I assume that US customs may potentially hold the pen at the border to get their pound of flesh? Edited by DesAstor, 13 March 2019 - 06:53. How does one order if you don't speak German? Should you wish any information you can contact us by the FPN messenger or by email to service@fritz-schimpf.de. We are sorry that our shop only offers German as a language option. due to quality issues with parts from a presupplier. This problem also affects the standard M1000 range. Anyone Knows What Pen Is This?